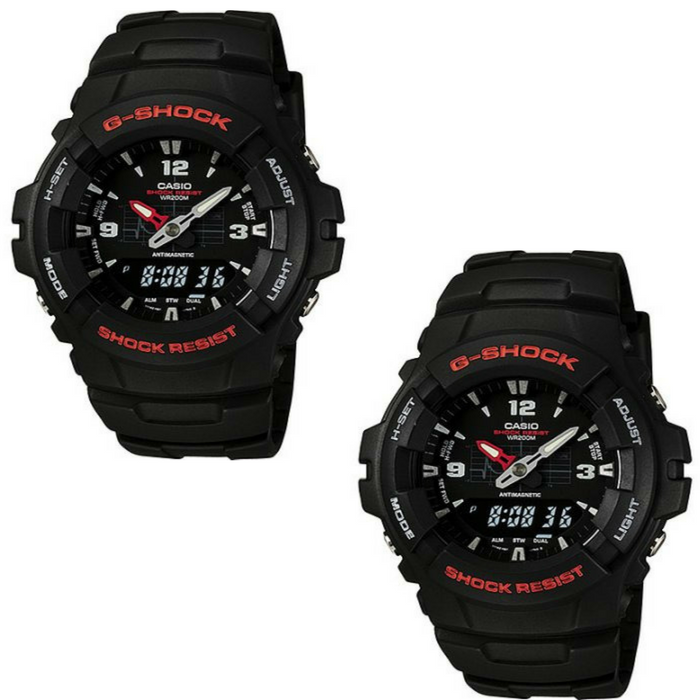 Casio Mens G-Shock Ana-Digi Watch Just $54.88! Down From $100! PLUS FREE Shipping! You are here: Home / Instagram / Casio Mens G-Shock Ana-Digi Watch Just $54.88! Down From $100! PLUS FREE Shipping! At Walmart, you can score this Casio Mens G-Shock Ana Digi-Watch for just $54.88 down from $99.95 PLUS FREE store pick up or FREE shipping! Wear a watch that provides both style and function with the Casio G-Shock Ana-Digi Watch. This watch is designed to provide shock resistance, water resistance and Anti-Magnetic resistance, which makes it a good choice for men who lead an active outdoor lifestyle. It features EL backlight with afterglow and dual-time functionality as well as a daily alarm. The Casio G-Shock men’s watch has a 1/100 second stopwatch so you can show elapsed time, and a calendar that has been programmed until the year 2039. The molded resin case and band are both stylish and comfortable to wear, while the mineral crystal lens is strong. Wear this water-resistant watch for any activity, whether it is boating, fishing or you are out hiking to the top of a mountain.